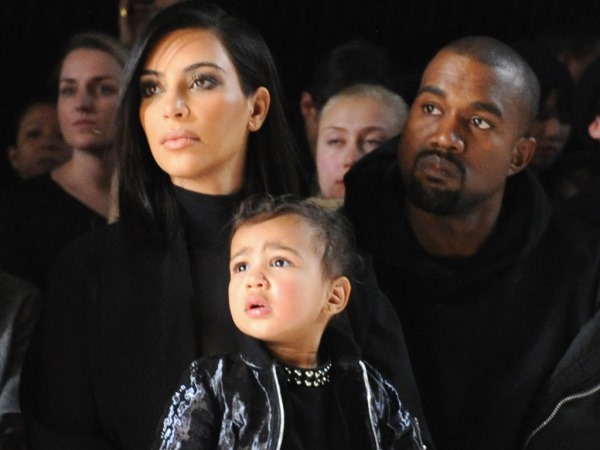 Kanye West and his wife Kim Kardashian are reportedly arguing over electronic radiation. The Hollywood couple have been married since May 2014 and they share daughter North together, who turns two years old on June 15. Kim’s reality TV show Keeping Up with the Kardashians has made her entire family famous worldwide, but it’s claimed Kanye is freaking out about how possible radiation from cameras could be impacting their toddler’s health. Kanye’s alleged electronic radiation fear has purportedly become quite a bone of contention between him and Kim. Apparently the pair are do not agree with each other at all over the topic. “It’s the biggest parenting argument they have and now it’s turned into war,” the insider detailed. Kim released a book of her selfies called Selfish on May 5, a title published by Rizzoli New York. But Kanye supposedly despises her endless selfie-taking and is worried about how the practice will impact their daughter.